Large numbers of people throughout the country use cleaners for meeting an assortment of domestic needs. Not many people need to clean their homes on a daily basis. In the past, homeowners would often utilise the weekends for cleaning their houses. At the time, life wasn’t as complex or demanding as it is currently. These days though, this trend has reversed. Technological advancements have made it possible for people to work from home. Late nights at the workplace during weekdays have begun to increase as well. Therefore, by the time the weekend comes around, many homeowners often find that they cannot summon the energy to go about cleaning their homes. Yet, house cleaning is not something that anyone could simply wish away. As a result, many homeowners take help from cleaning services to meet their household cleaning requirements. Several cleaning services help households across Australia meet their cleaning requirements. 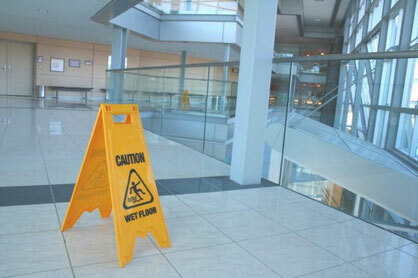 These service providers provide regular maintenance as well as one-off cleaning services. Typically, most cleaning services provide a basic package, which meets the basic cleaning requirements in any house. However, certain tasks like carpet cleaning require greater attention. Specialist cleaning activities like carpet cleaning, dry cleaning etc. By giving their cleaning staff access to these comprehensive training packages, these enterprises equip their staff with the right knowledge for tackling any situation they encounter when they clean a house. Can Cleaning Courses Really Enhance the Business Prospects of a Cleaning Service Provider? The short answer is ‘Yes’. Many people have the misimpression that cleaning a house is all about sweeping, mopping, vacuuming and dusting. On the face of it, this seems easy to accomplish. However, as mentioned earlier, some items require specialised knowledge of cleaning techniques. For example, cleaning carpets is a specialised domain. Ruining an expensive carpet could be quite costly – in terms of damages as well as reputation. Moreover, if you’re unable to assess the conditions that result in the formation of moulds in the house, it’s unlikely that the homeowners would persist with your services. For example, you might have cleaned the house thoroughly. However, the improper ventilation would fill the house with an unpleasant odour that would make it seem as if you did not do a thorough job. Competition in providing cleaning services could be quite intense too, in certain areas. Therefore, the slightest edge that you have could be beneficial to your business. For example, homeowners would prefer hiring cleaning services with well-trained and certified professionals. Not many would pay too much attention to cleaning staff with little or no certifications. Thus, you need to ensure that you give your business the fillip it needs. Keeping your staff well versed in the latest trends and developments in the cleaning services could give you a significant competitive edge in the market. At the Australian Salesmasters Training Company, we have a team of accredited facilitators. These individuals deliver innovative products and services to our clients. From business training to food safety supervisor courses, these individuals deliver modules based on various skills and techniques. We offer several online courses too e.g. the program for customer service training online. Therefore, we invite you to utilise our training courses. These could boost your business prospects considerably. Call us at 02 9700 9333 to learn how we could help your business fare better with our training programs.